With "Legacy of Mandalore," Star Wars Rebels returns to the Mandalorian culture, giving us more information about Sabine Wren's history, and what role the Darksaber plays in that world. 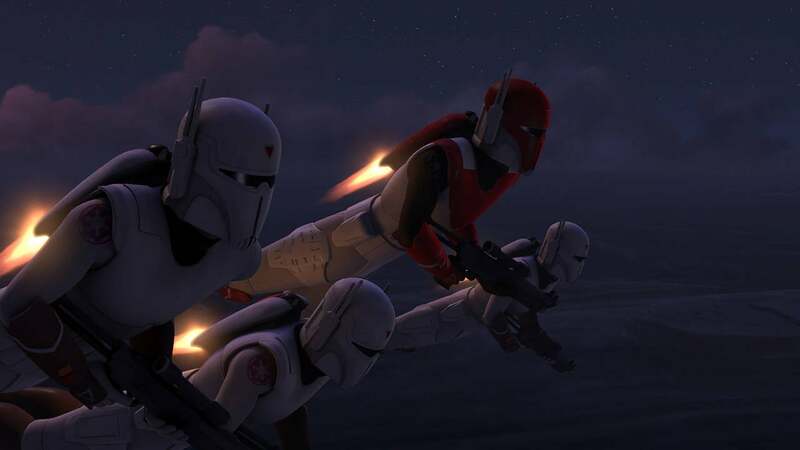 But before we get to that episode this weekend, let's take a look back at everything we've learned about Mandalore, the Darksaber, and the culture, thanks to Star Wars: The Clone Wars and Star Wars Rebels, the two animated series that have greatly expanded the mythos of the galaxy far, far away. If you haven't watched, be warned, there are SPOILERS in here - it's a spoiler-filled episode guide. If you just want to catch up or refresh yourself on your own, just check out the titles on each page and consider this a handy Mandalorian episode title guide. 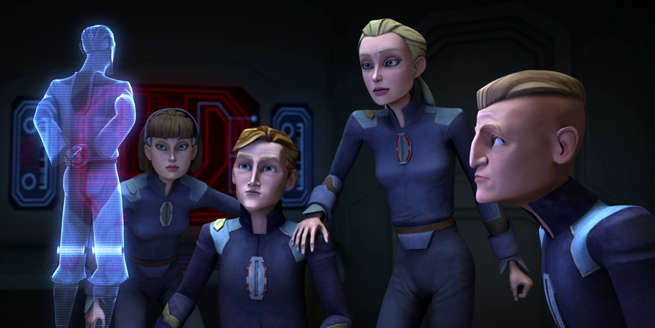 The first Mandalorian-centric episode of Star Wars: The Clone Wars kicked off a three-episode arc that introduced us to Satine, Duchess of Mandalore. Obi-Wan investigates and discovers Death Watch, a group of Mandalorian fundamentalists who want to get back to their war-filled roots. 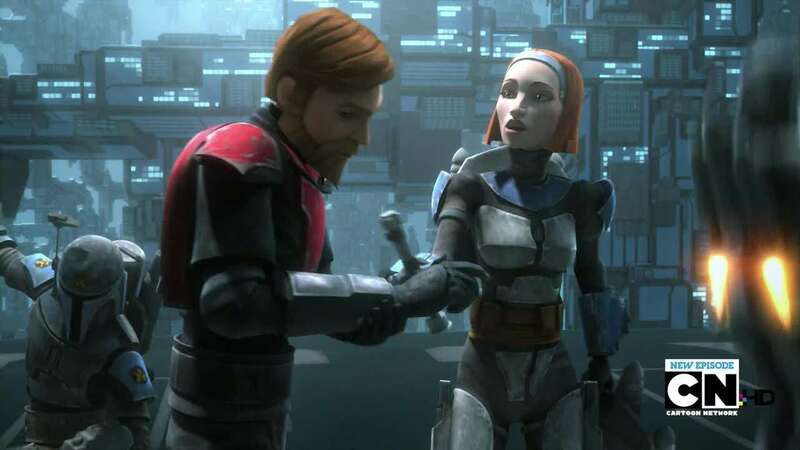 Part two of the first Clone Wars Mando arc sees the focus shift significantly to the personal relationship between Satine and Obi-Wan Kenobi; yes, that kind of relationship. Anakin learns that Obi-Wan was in love with Satine, which understandably rocks his world. 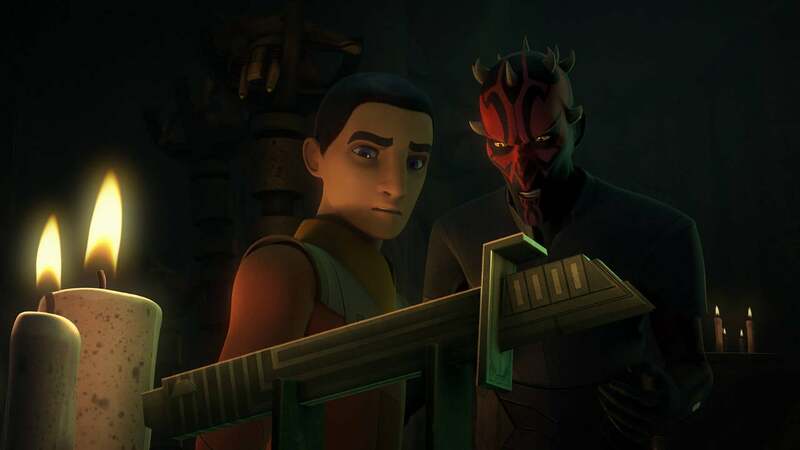 Possibly the most depressing story arc of the entire series, Eminence kicked off Darth Maul and his brother Savage Opress taking over Mandalore, joining forces with Death Watch. It introduces Bo-Katan Kryze, an incredible female Mandalorian soldier. They also recruit other members of the underworld of the Star Wars galaxy to their cause. 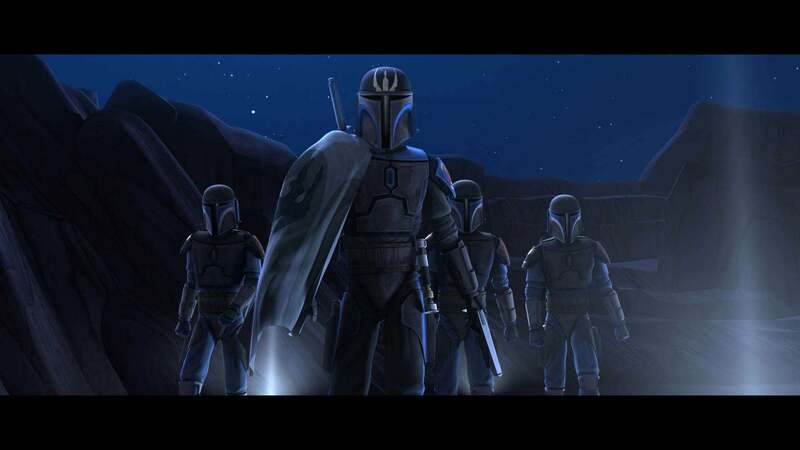 The second chapter sees Maul, Savage, Pre Vizsla, and their Shadow Collective attack and successfully take over Mandalore. After an expected betrayal, Maul takes the Darksaber from Vizsla, and decapitates him. Bo-Katan turns away from Death Watch. The episode I write about the most, in this episode we see so much happen. Darth Maul kills Satine in front of a distraught Obi-Wan Kenobi. Bo-Katan, revealed as Satine's sister, helps Obi-Wan escape Mandalore, to inform the Republic of the events there. Palpatine, as Darth Sidious, hits Mandalore to admonish Maul for taking on an apprentice, kills Savage, and takes Maul. 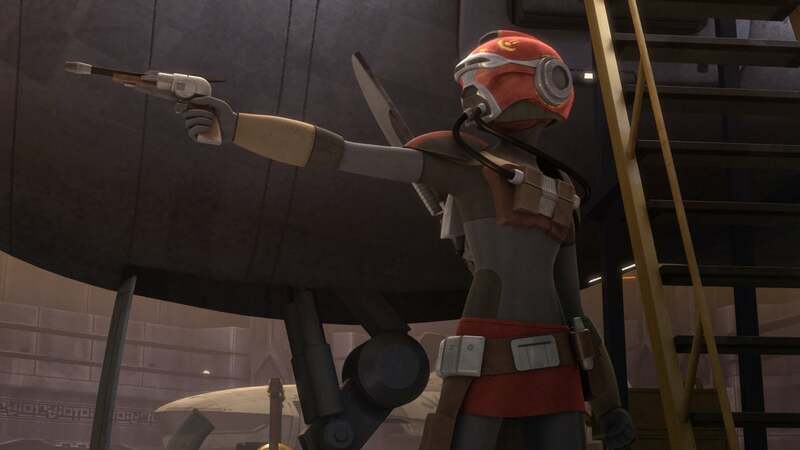 The first Star Wars Rebels episode to really dive into the Mandalorians and any of Sabine's past, this episode met Ketsu Onyo, a bounty hunter with history with Sabine: they both escaped the Imperial Academy together. We didn't get much Mando backstory, but our first real taste of Sabine's. 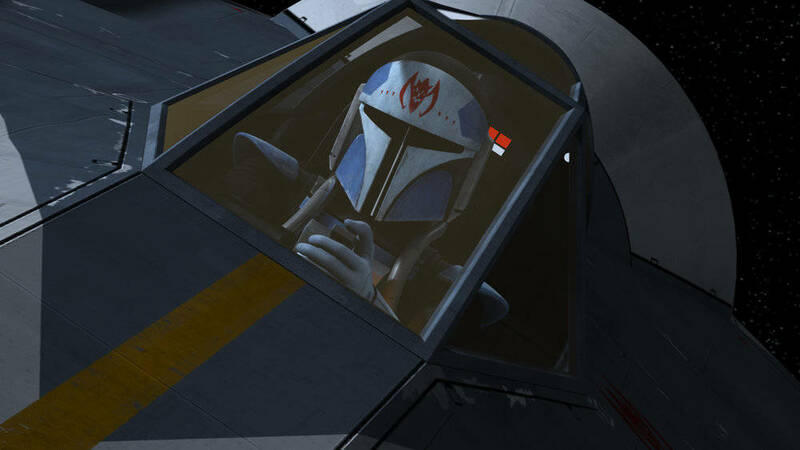 The first Mandalorian-centric episode of Star Wars Rebels season 3 brought in a major player in the past of Mandalore, Gar Saxon, who was first introduced in the comicbook "Darth Maul: Son of Dathomir." 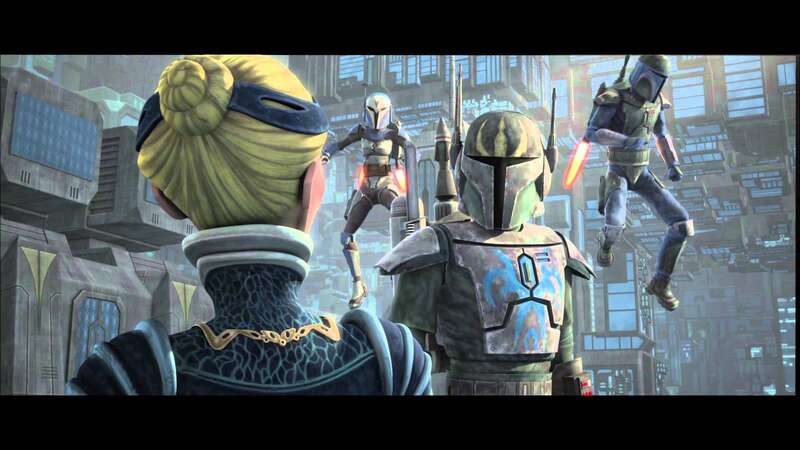 We meet a squadron of imperial Mandalorians, and Sabine successfully recruits her first Mandalorian Rebel, Fenn Rau. Sabine finally gets a jetpack of her own. This episode wasn't Mandalorian-centric, as it was actually focused on (formerly Darth) Maul and the Nightsisters of Dathomir. However, it is where Sabine retrieved the darksaber, a special black lightsaber connected to her family of House Vizsla. 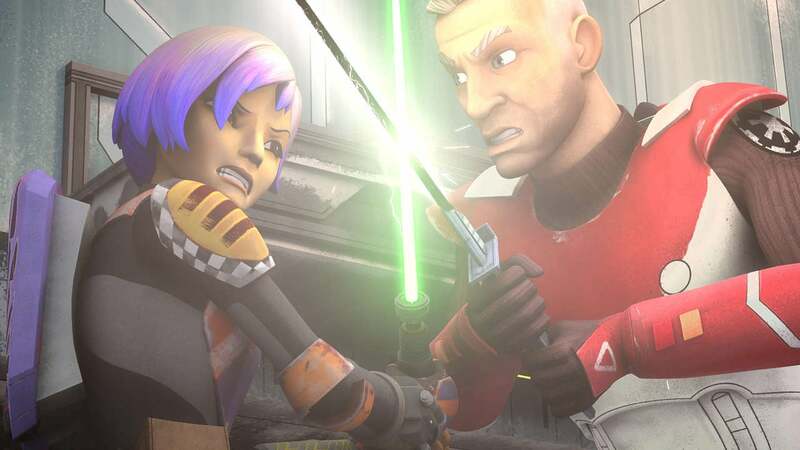 In the last episode before the current hiatus, Sabine Wren trained with the Jedi Kanan and Ezra to learn how to wield the Darksaber. We also finally learned the history of the black lightsaber, which was a creation of the first Mandalorian Jedi, Tar Vizsla. We also also learned that the Jedi and the Mandalorians had a war (something taken from Star Wars: Knights of the Old Republic) and the Mandos still have weapons made specifically to fight Jedi. We also also also learned that Sabine was exiled as a traitor because she refused to continue helping the Empire, not for joining them in the first place. 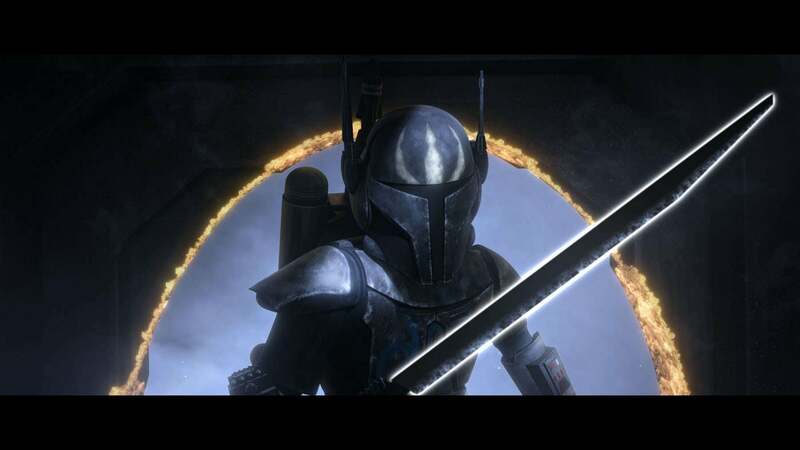 It was a big episode for Mandalorian history both personal and mythological. 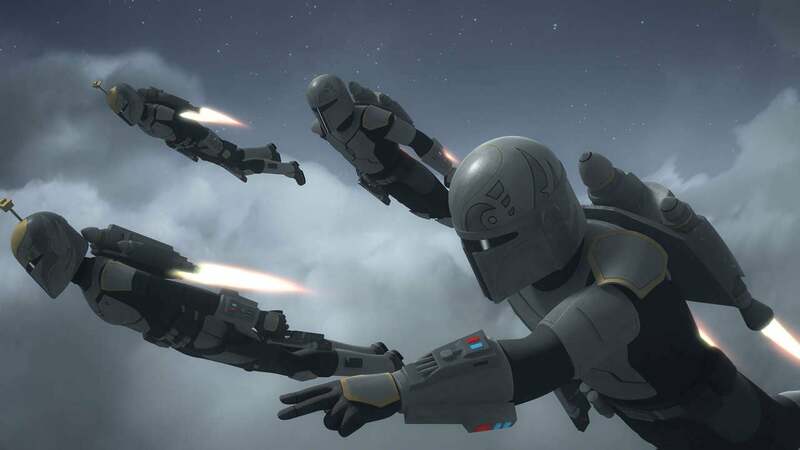 And that brings us to this weekend, when Star Wars Rebels returns with the episode "Legacy of Mandalore." 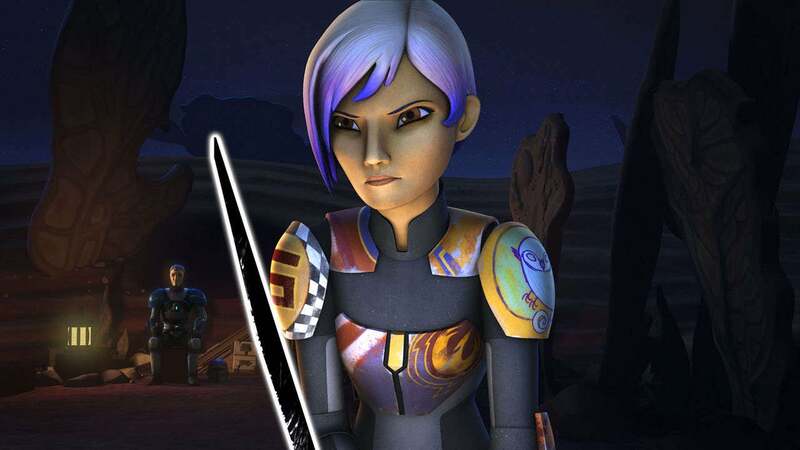 The episode will see Sabine fulfilling her destiny and birthright as a member of House Vizsla and challenging for control of the Mandalorians using the Darksaber. Full preview is here.